A friend came to stay the other week who I’ve known for twenty years. As is the case, we spent a fair amount of time discussing music. He’s been more of a dance fan than ‘indie’ over the last decade, though those two genres are not mutually exclusive. he’s been excavating the old dance stuff, and with my love of music from 1977-1982, it’s clear that this era stamped its’ mark on dance just as much as indie. First up a classic. 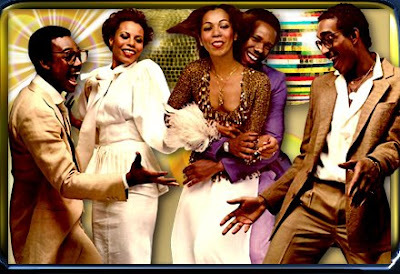 I wrote about Chic’s Good Times back in March, so here it is again. This record featured an American vocalist, but it’s a very European-sounding record. These guys came out of the same Bristol scene that spawned Massive Attack, Nellee Hooper, and Tricky, amongst many others. This entry was posted in Black Box, Chic, Donna Summer, James Chance, M/A/R/R/S/, Pigbag by Ed. Bookmark the permalink.